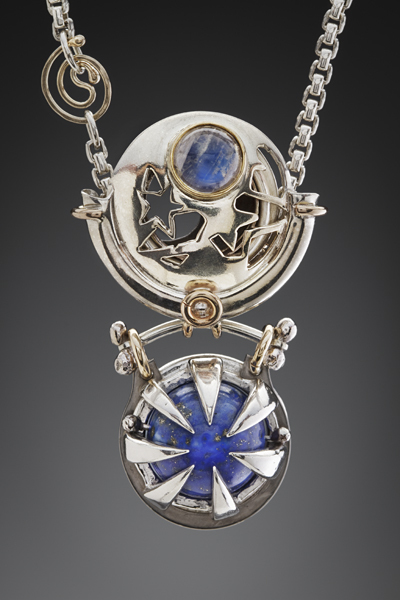 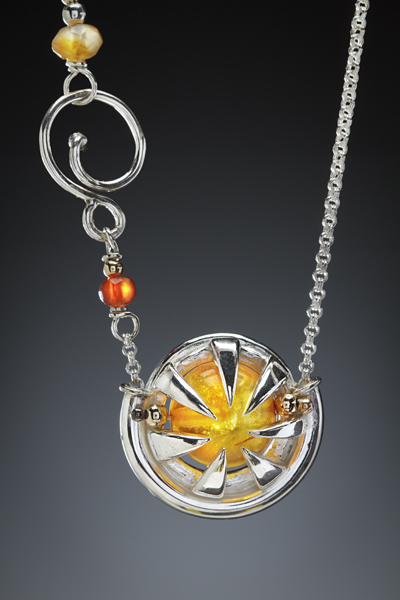 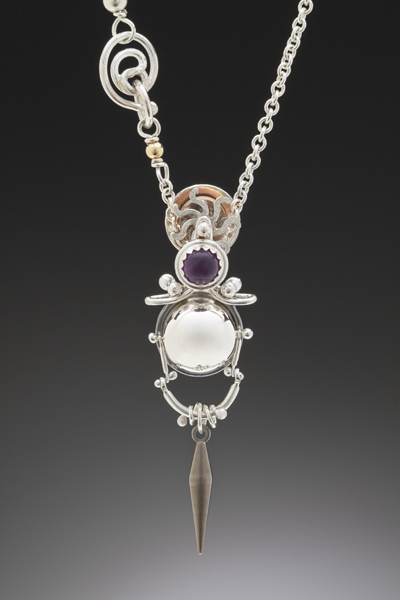 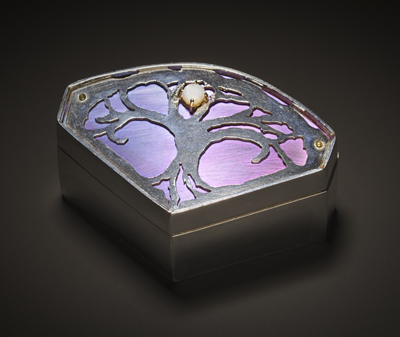 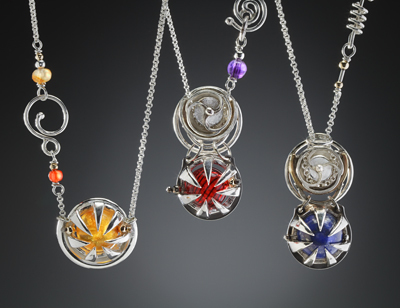 dORY Brown created a body of interactive jewelry in motion for men and women. 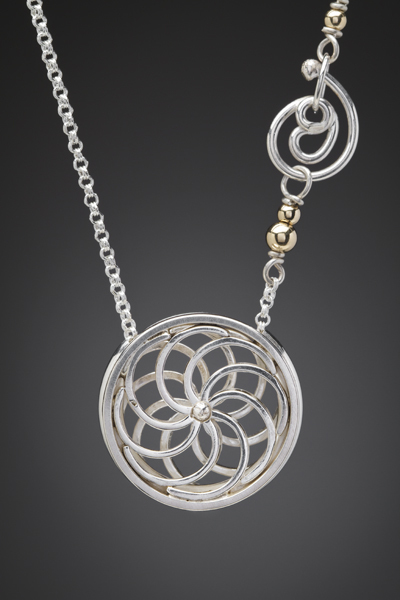 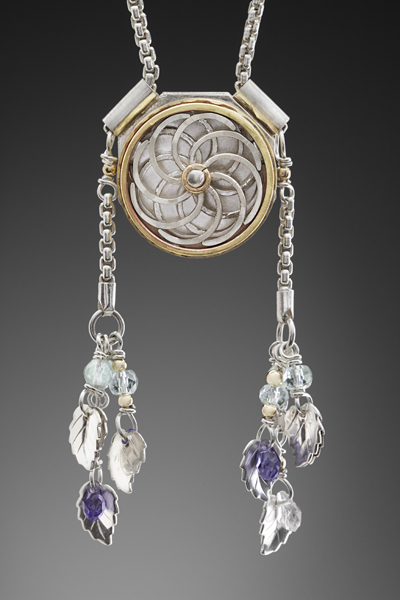 Gold, silver, copper, brass, and niobium meet mechanisms, providing her designs with unique clasps and adjustable jewel wear. 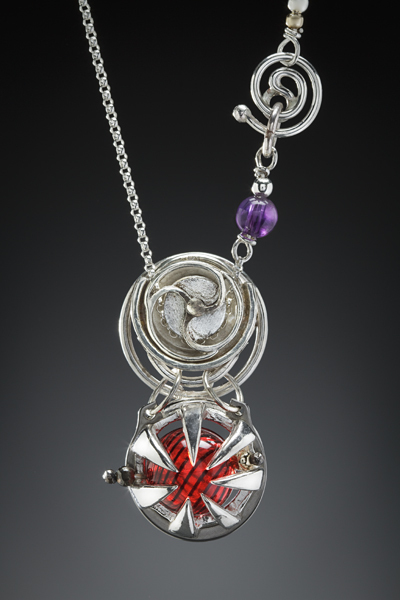 Her wearable art included the wearer in the design.